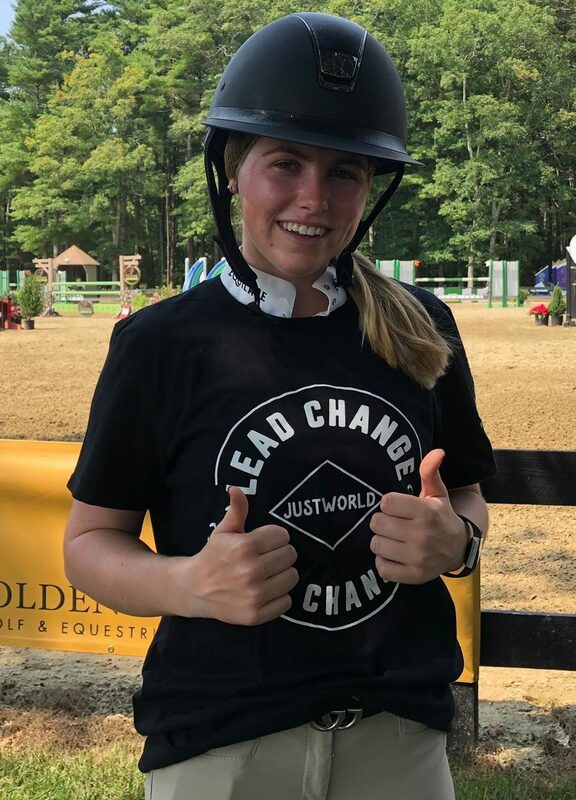 This August, JustWorld became part of the prestigious Silver Oak Jumper Tournament located at the beautiful Fieldstone Show Park in Halifax, Massachusetts, just south of Boston. JustWorld did not hesitate to jump right into this high-end competition and participate in all of the exciting activities the unique show had to offer. Competitors, trainers, families, and Ambassadors spent time together relaxing in the Rider’s Lounge, dedicated to JustWorld thanks to the generosity of the McQuillan family, taking time to eat, mingle and watch front row as the highest level of equestrian completion took place on the pristinely manicured grass Grand Prix field behind. On Friday evening of the show, one of the highlights of the competition was set to start but interestingly enough did not include horses at all. Instead, excitement ensued during the Exhibitor Party Barbeque and the annual Volleyball Tournament. JustWorld bumped up the competition by being the best dressed, decked out in team spirit uniforms. Ambassadors came together to support team ‘Change Makers’ by making blue and purple tie-dyed shirts and wearing face paint and bandanas. 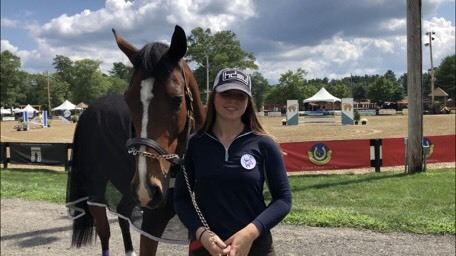 Ambassador pride continued throughout the weekend with riders spreading awareness by wearing signature blue JustWorld show jackets and the formation of the first-ever JustWorld team to compete in the SOJT Farm Cup Class. Team JustWorld sped through the first qualifying round of the Nations Cup format class easily advancing on to the jump off, ending with a fantastic finish to earn second place. Special thank you to Silver Oak show management Jeff Papows and Sharon Ricci, key supporters Jocelyn Arel and Brian McQuillan, and Ambassador Zoe McQuillan for bringing this show to life. 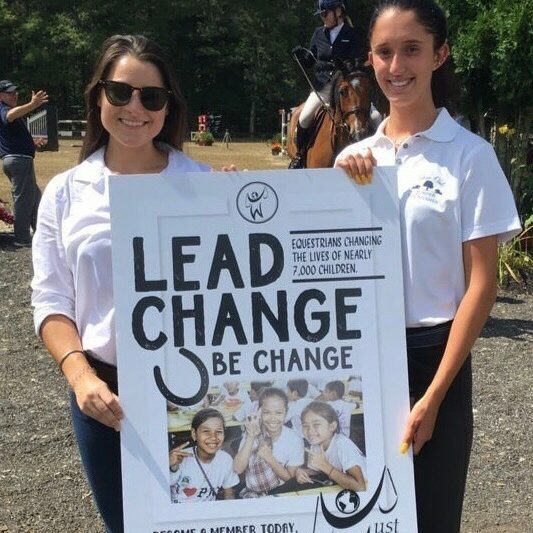 Shout out to Ambassadors Mauricio Garcia, Ali Donahue, Olivia Vogl, Lili Kaissar, Taylor Griffiths and Brianne Link for their tremendous support and team spirit! Additionally, JustWorld would like to thank Beacon Hill Equine Transport and Frank Madden for assistance in transporting the JustWorld jump. If you are interested in joining the Ambassador team, please email Molly at mmcdougall@justworldinternational.org.